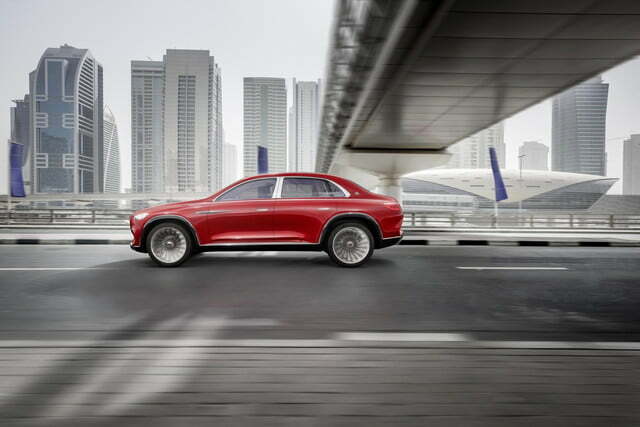 Since Mercedes-Benz revived its Maybach ultra-luxury brand for the second time, there have been rumors that Maybach would launch an SUV to compete with the Bentley Bentayga, Rolls-Royce Cullinan, and high-end versions of the Range Rover. 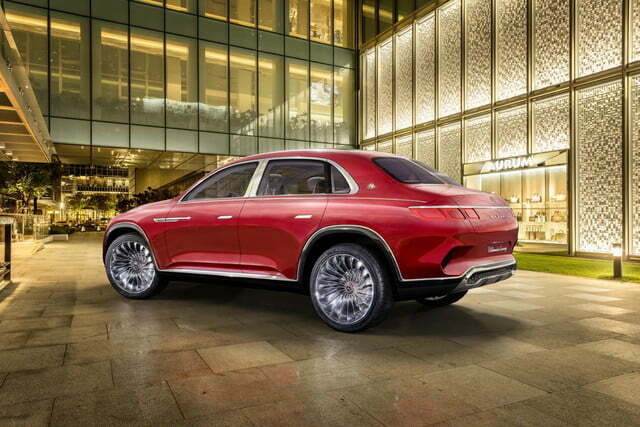 The first indication that those rumors might be true is the Vision Mercedes-Maybach Ultimate Luxury, a glitzy SUV concept debuting at the 2018 Beijing Auto Show. 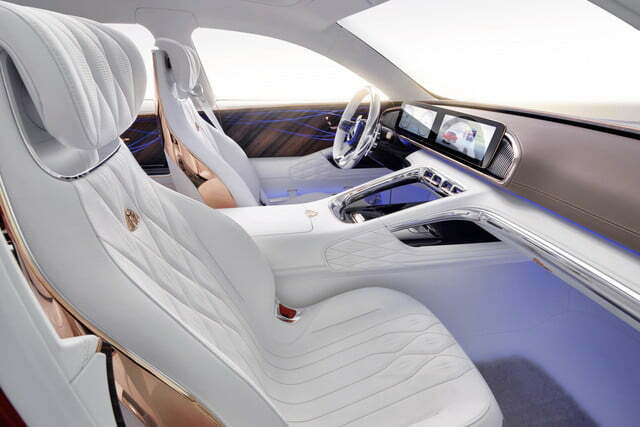 The Vision Mercedes-Maybach Ultimate Luxury concept has an unwieldy design to go with its unwieldy name. Mercedes designers married the traditional “three-box” silhouette of a sedan — a distinct engine compartment and trunk with a passenger compartment sandwiched in the middle — with the raised ride height of an SUV. The result looks a bit like a blinged-out version of the old Subaru Outback sedan, or an SUV that backed up into a low bridge. Power comes courtesy of four electric motors, which together drive all four wheels and produce 750 horsepower. An 80-kilowatt-hour battery pack is housed under the floor. Mercedes claims a range of over 200 miles, and a top speed of 155 mph. 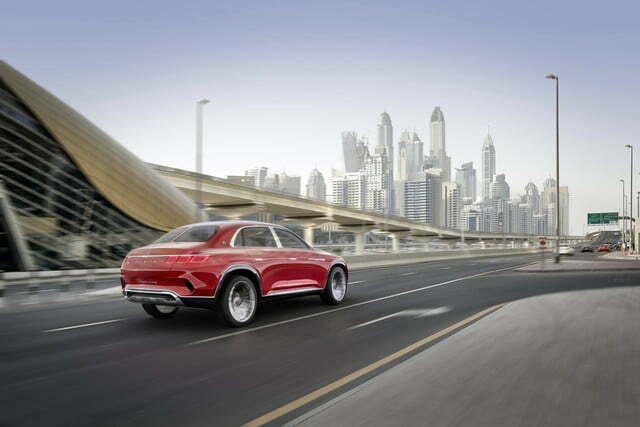 The Vision Mercedes-Maybach Ultimate Luxury can charge at CCS-type DC fast-charging stations at up to 350 kilowatts, which is a lot more power than current stations offer. 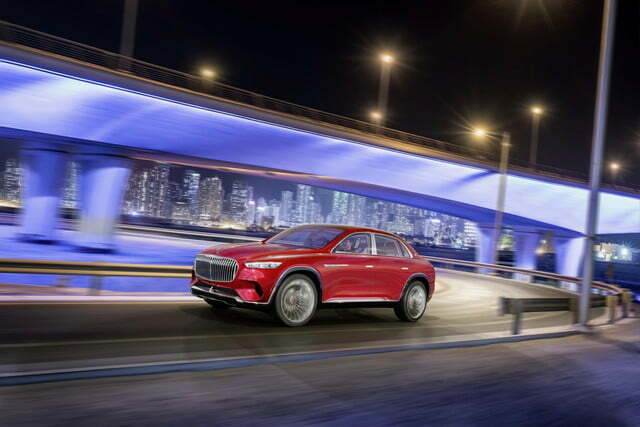 At that power rate, Mercedes claims the SUV can recover 60 miles of range in five minutes. The interior features a version of Mercedes’ Widescreen Cockpit infotainment interface, with two 12.3-inch display screens, for the driver. But this concept vehicle was designed primarily for chauffeur-driven use, so the back seats got most of the attention. 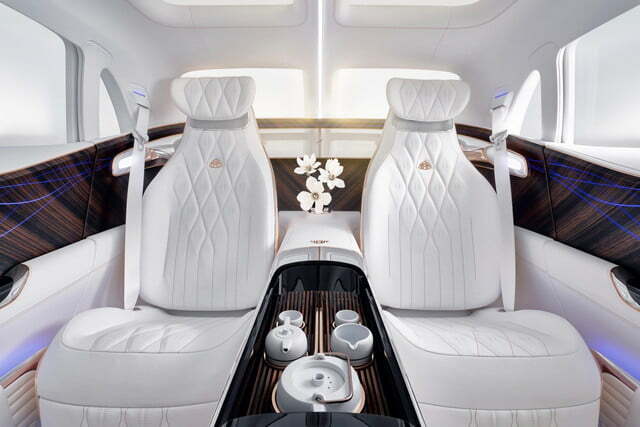 Reclining, Nappa leather-clad rear seats are modeled on the ones in the Mercedes-Maybach S-Class sedan, and S-Class features like a massage function and perfume spritzer were adapted to the Vision Mercedes-Maybach Ultimate Luxury as well. 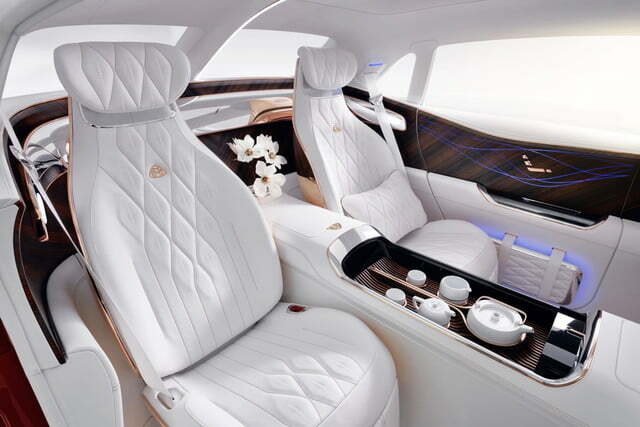 Appropriately for a concept car debuting in Beijing, the Maybach also features a built-in tea service. Everything sits on an ebony tray that retracts into the center console when not needed. 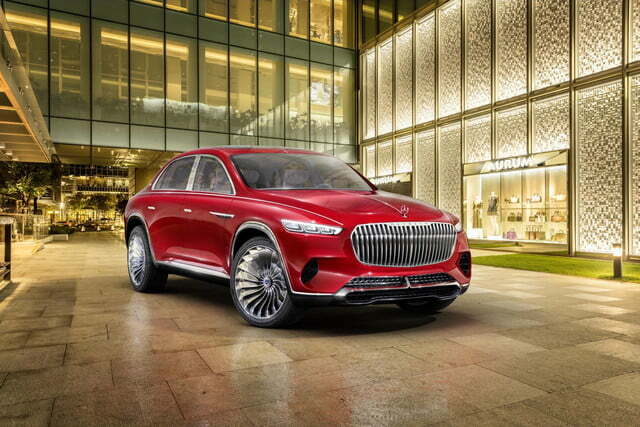 Mercedes did not say that the Vision Mercedes-Maybach Ultimate Luxury concept will go into production, but given the emergence of ultra-luxury SUVs from the likes of Bentley and Rolls-Royce, a Maybach SUV does make sense. A vehicle with the Ultimate Luxury concept’s all-electric powertrain would also fit in well with Mercedes’ electrification plans. 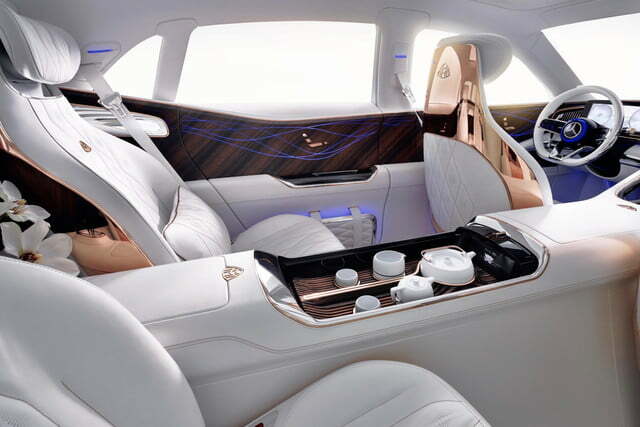 For now, though, Maybach will continue selling sedans based on the Mercedes S-Class.